Anchored 247 is the music worship ministry of Calvary Chapel of the Harbour in Huntington Beach, California. This multi-talented group of musicians and singers are called from diverse walks of life with one goal: to exalt the name of Christ in music and praise. As the the host band for the annual outreach Labour of Love Music Fest, Anchored 247 desires to bring all glory to God in praise and worship and for all to join in with them in singing praises to the Lord! Standing on this vision, the band utilizes contemporary and progressive musical styles to inspire and energize the church to fervent worship and to bring them into a deeper level of communion with the Lord each time they minister in music. 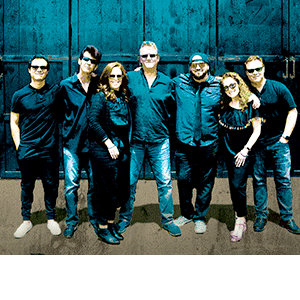 The band consists of Larry Garcia (keyboards), Bob Phillips (bass guitar, lead & backing vocal), Tami Nelson (lead & backing vocal), Tina Vartanian (backing vocal, percussion), Jos Valle (acoustic guitar, lead & backing vocal), Lowell Hornung (electric guitar, backing vocal), Kevin Karamitros (drums & percussion).